Green Bay might be the smallest city in the US to play host to a professional football team—and the smallest media market of any NFL, NBA or MLB franchise—but the Green Bay Packers have long punched above their weight with an unrivalled history and make-up. And their fans have always played a big part in the club’s successes. The Packers are unique in the NFL. Formed originally as the Acme Packers, it was noted that something special was immediately at play when the side raced through its first competitive season in 1919 with ten straight victories, dropping only six points along the way. Their first defeat came in the eleventh, and final game, of the season. 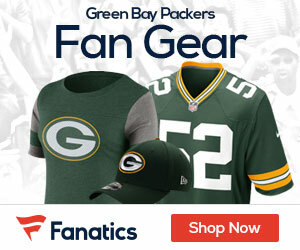 Although based in a city with a population of only just over 100,000, the fabled Lambeau Field—itself holding 73,000 fans, is a constant sell-out; while the Green and Gold Season Ticket waiting list is the stuff of legend: with seats sold out since the 1960s, around 100,000 hopeful souls reportedly sit on the list waiting for their call. Such loyalty gives games at Lambeau Field an intense atmosphere that is a joy to sample and if you wish to do so, there are tickets available here for Green Bay Packers. That loyalty will have much to do with the fact that those supporters also own the Green Bay Packers. The franchise has been run on a non-profit basis since the 1920s. Back then, rather than stand on the precipice of bankruptcy, the Packers sold shares to the local community to keep them afloat. To this day, no one person is allowed more than a couple of hundred thousand shares out of the 4 million or so available—meaning that no individual can take control of the club. This situation means that the club is intrinsically linked to the city of Green Bay. Local residents own the club, so they are not at the mercy of an owner who might believe his interests would be better served moving the franchise to a larger media market. The strong bond between fans/owners and club is highlighted in the harshest winter months. Lambeau Field is routinely referred to as “The Frozen Tundra” —a title coined following the “Ice Bowl” against Dallas Cowboys on New Year’s Eve 1967. Green Bay won the game in freezing conditions amid claims of an unfair advantage: temperatures reached ?15 °F and the under-pitch heating system had failed. The name has stuck as the stadium regularly receives a visit from Jack Frost. The sophisticated heating system might ensure that the pitch is playable but the stadium itself can still be unusable when the worst snow-storms hit, with drifts covering seats and access points. That is when the club can call on those plucky, loyal, unique supporter-owners, armed with snow-shovels, to help dig them out. Green Bay Packers’ success belies their small-town status. The side holds 13 league titles, more than any other team. Those hard-to-come-by tickets are still available here to see if the latest incarnation, led by star Quarterback Aaron Rodgers, can add more glitter to the Green and Gold.